PUMA launched the Ignite Your City film series after unveiling the new-to-market PUMA IGNITE running shoe a week prior. Ignite Your City features ten global running crews as they ignite their respective cities by pushing the bounds of their run while wearing the new PUMA IGNITE. They do it for the bragging rights, to accomplish their dream run, to inspire their city’s greater running community and for the joy of pushing their runs to new heights. Next up was the fea fields of Shizouka with Mount Fuji looming in the distance. 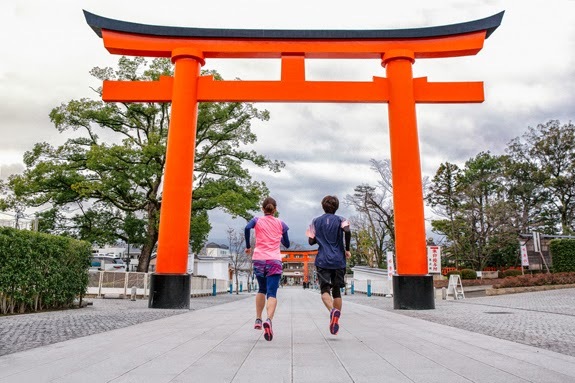 A race through the cityscapes of Nagoya followed, and their final stop before heading back to Tokyo was the uphill park trails to the castle in Hamamatsu. One last high-speed train ride dropped them back off where they began in Tokyo. Winding through tight streets and trafficked intersections, they made their way to a celebratory finish in Shibuya Crossing.